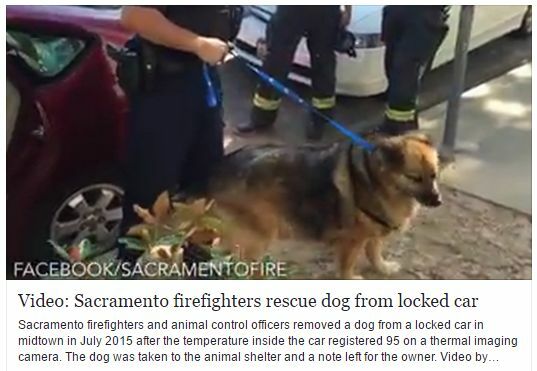 Assembly Bill 797, by Assemblymen Marc Steinorth, R-Rancho Cucamonga, and Miguel Santiago, D-Los Angeles, "allows freeing animals from vehicles that are too hot or too cold as long as there is no other way to rescue the animal and law enforcement has first been contacted." The bill was supported by the Humane Society of the United States and other animal groups. It was opposed by some dog clubs that warned of overzealous liberators. In one other animal-related measure, Brown, an owner of two dogs, vetoed Assembly Bill 1824, which would have expanded the circumstances in which someone could be charged with causing the injury or death of a guide or service dog.